How is the Parliament being consulted? 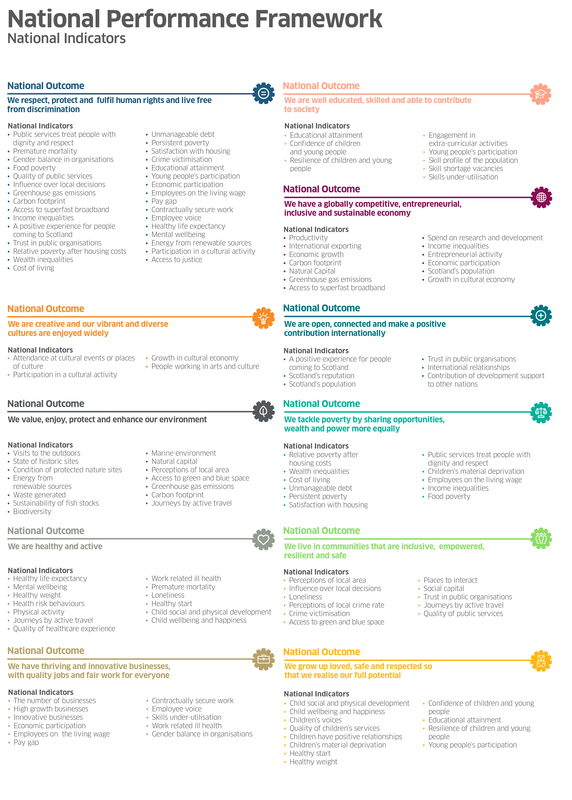 What is the National Performance Framework? Smith, M., Herren, S., Young, S., Bergseng, A.M., Bebbington, J., Evans, M., … Beill, M. (2011). 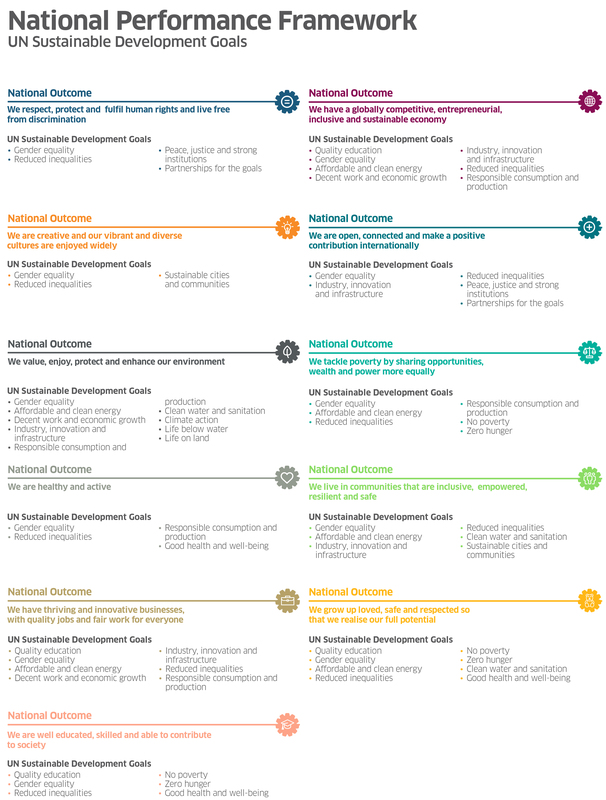 More than GDP: measuring what matters. Dunfermline: Carnegie UK Trust. Ross, A. (2015). 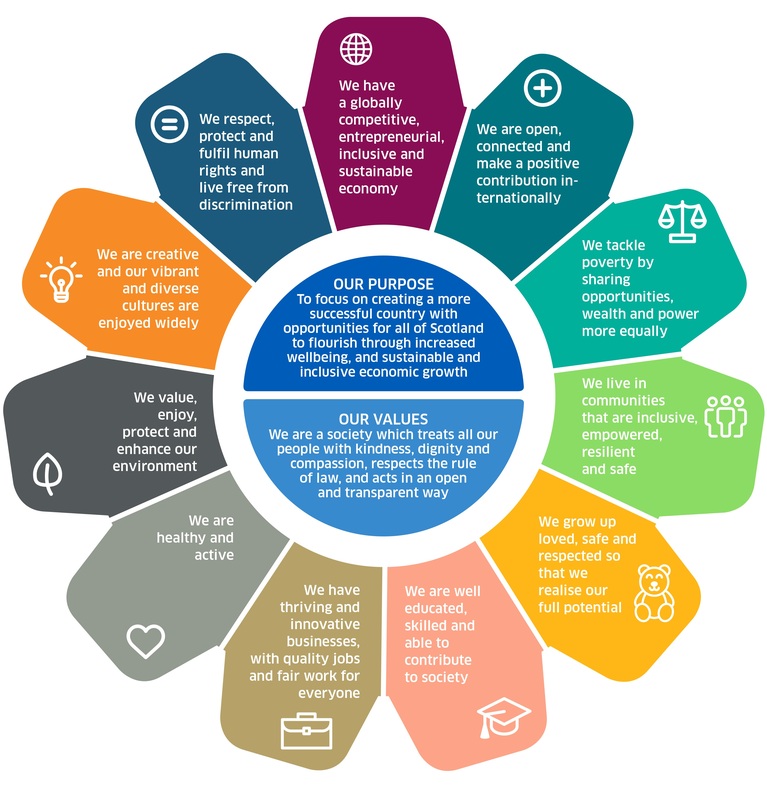 The future Scotland wants – is it really all about Sustainable Economic Growth?. Edinburgh Law Review, 19(1), 66-100. Jackson, T. (2009). Prosperity without Growth. London: Earthscan. Max-Neef, M. (1995). Economic Growth and Quality of Life: a threshold hypothesis. Ecological Economics, 15(2), 115-188. Clarke, M., & Islam, S. (2005). Diminishing and negative welfare returns of economic growth: an index of sustainable economic welfare (ISEW) for Thailand. Ecological Economics, 54(1), 81-93. The Scottish Ministers. (2018). 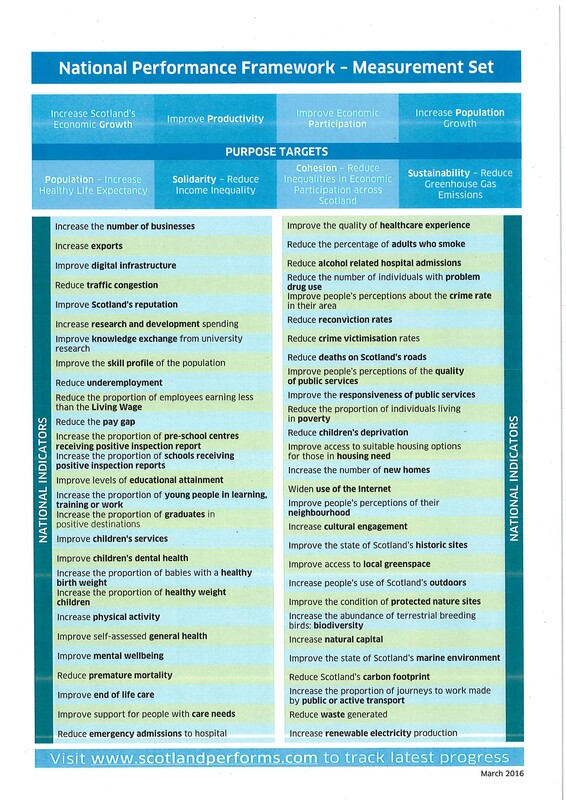 National Outcomes for Scotland: consultation process undertaken to produce draft National Outcomes for Scotland. Edinburgh: Scottish Government. Auditor General. (2016). 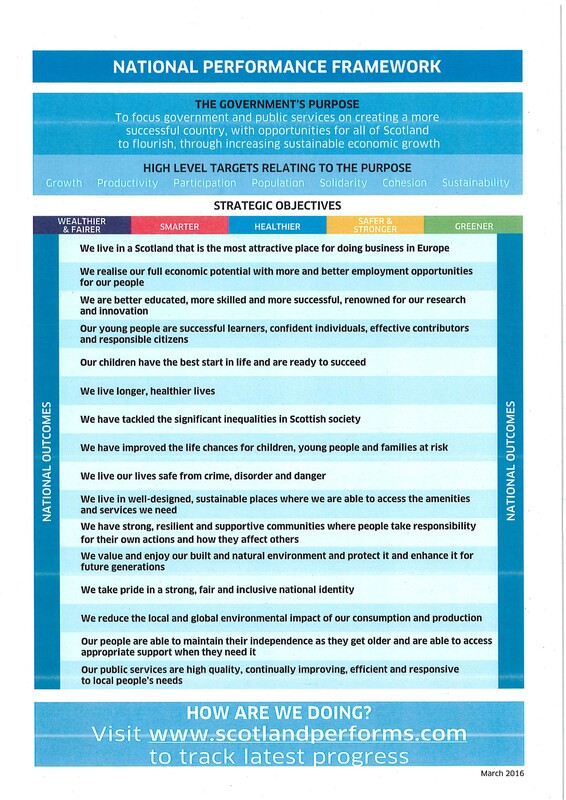 Supporting Scotland’s economic growth: the role of the SG and its economic development agencies. Edinburgh: Audit Scotland. Scottish Enterprise. (2017). ANNUAL REPORT AND ACCOUNTS For the year ended 31 March 2017. Glasgow: Scottish Enterprise. Lavrakas, P. (2008). Encyclopedia of Survey Research Methods. Los Angeles: SAGE. Scottish Government. (2018). personal communication. (n.p. ): (n.p. ).